3 Catered Chalets, 1 Self Catered Property and 1 Half Board Hotel. WEsay Situated directly below 1850 on the mountain, 1550 is becoming a serious satellite of it's sophisticated sister. 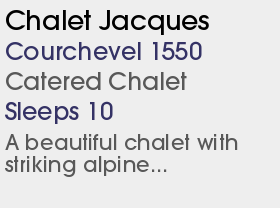 Courchevel has the reputation of being the world’s best ski resort and is undoubtedly the chicest in France. The resort is split into four quite separate villages at different altitudes and between them, they offer something for everyone. 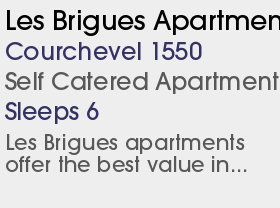 They are brilliantly linked both to each other and to the whole of the Trois Vallees area, which includes the resorts of Val Thorens and Meribel. The scenery here is beautiful and the pistes are immaculate. 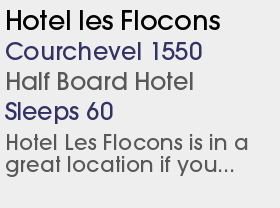 The skiing is truly outstanding and on an incredible scale with over 600km of piste in the Trois Vallees area. 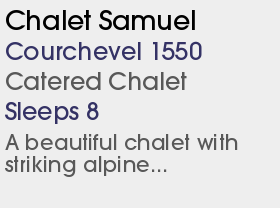 From 1850 the pistes and gondolas spread out in all directions providing lots of picturesque, gentle skiing for beginners or those who just want to take it easy. 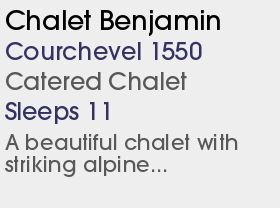 For a more vertical challenge, experts can head up to the highest point Souliere with the infamous Couloirs. Only the grand couloir remains a marked piste, but it is something of a rite of passage for all good skiers and is much trickier than it looks. 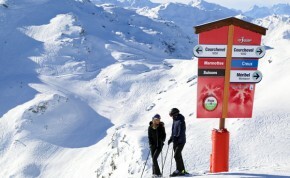 Courchevel is just as entertaining for non-skiers with swimming, ice-skating, bowling, climbing, snowmobiling, paragliding, a 2km sledge run from 1850 down to 1550 and 20km of groomed hiking trails. Or alternatively, flex your credit card and hit the plethora of shops. 1550 is situated directly below 1850. As it is linked by a gondola to the rest of the resort it has access to exactly the same skiing but its nightlife provides a nice contrast to the hedonistic evenings of 1850. There are a couple of nice, friendly bars and decent restaurants but those after anything more had best head up the mountain.